Preface to "Documents from the Black River City held in Russia"
The following preface by Prof. E. I. Kychanov is taken from Écáng Hēishuǐchéng Wénxiàn 俄藏黑水城文献 [Documents from the Black River City held in Russia] (Shanghai: Shanghai Guji Chubanshe, 1996-200) vol.1. 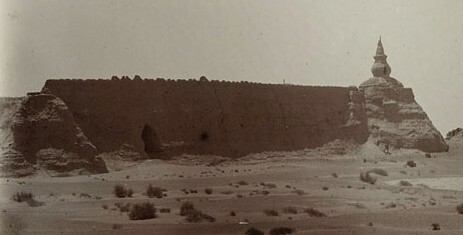 It recounts the discovery by Pyotr Kozlov in 1908 of the ruins of the Tangut city of Khara-khoto (known in Chinese as "Black City" or "Black River City", and known to Marco Polo as the City of Etzina) on the edge of the Gobi Desert, in western Inner Mongolia. Kozlov subsequently discovered a large number of printed books and manuscripts written in Chinese and Tangut in a stupa 400 metres west of the city walls. Most significantly, among these books were several dictionaries of the extinct Tangut language that allowed for the eventual decipherment of Tangut. The achievement of discovering the unique St. Petersburg collection of manuscripts of Xixia writing belongs to the professional geographer and traveler Peter Kuz'mich Kozlov (15, Oct. 1863 – 26, Sep. 1935). P. K. Kozlov was born in the small town of Dukhovshchina in the oblast of smolensk, in a family which drove cattle to market. After completing the local school, he worked as a clerk in an ale brewery in the town of Slobod. It so happened that in precisely this town the by then already renowned traveler and geographer N. M. Przheval'skii had bought himself a summer cottage. In 1882 occurred the meeting of P. K. Kozlov and N. M. Przheval'skii that determined the entire subsequent course of Kozlov's life. Later Kozlov recalled, "That day..., when I myself began freely and frankly to speak with him (Przheval'skii — EIK) I never, never will forget, ... that day decided all my future, and I began to live that future. "(1) With the patronage of Przheval'skii, Kozlov continued his education and completed the Smolensk technical middle school (real'noe uchilishche), and in the years 1883-1885, while still quite a young man, took part in the fourth expedition of N. M. Przheval'skii to Central Asia. In 1887, Kozlov completed the St. Petersburg military school and received officer's rank. The subsequent participation of Kozlov in the expeditions of M. V. Pevtsov (1888) and V. I. Roborovskii (1893-1895) prepared him for being entrusted with independent expeditions, the first of which he undertook in 1899-1901. In fact, on 29 October 1907, before departing on the expedition, Kozlov was again received by the Tsar and by Heir-Apparent Aleksei. The attention of the government of Russia and of the Tsar personally to the expedition, and their support for an undertaking of the Geographical Society, is explained in large part by the impact which the achievements of these expeditions had in the European scientific world. The northern and western regions of China, not undergoing investigation by Chinese scientific powers at the level of the then contemporary European scientific standard, attracted the attention of European scholars. As a result, from the numerous scientific expeditions in the last quarter of the 19th and beginning of the 20th centuries – English, German, French, Russian, Swedish, Japanese, etc. – impressive achievements were obtained in the areas of geography, ethnography, history, and natural sciences (botany, zoology, etc.). Russian participation in this international scientific movement was weighty and greatly raised the prestige of Russian science. It would be unjust not to take into consideration the fact that such scientific investigation of the frontiers of the Chinese empire took place in the context of European – American – Japanese political and economic pressure on China, and that topographical surveys of localities by the expeditions, their reports on the state of local affairs could be used for military ends as well. In allowing these expeditions, the Qing government made definite concessions. But now, almost 100 years after such expeditions took place, it is evident that the discovery and preservation for science of Dunhuang and Khara-khoto alone are a most precious contribution to the study of the history of Chinese culture, as well as for Chinese science. That which was most likely to perish irretrievably was saved and preserved down to our day, however incomplete. Thus through the territory of Mongolia to Urga (Ulan-Bator) the expedition moved, using the Mongolian postal service. "Thanks to the border commissar at Kiakhta...P. E. Genok, who communicated in a timely way with the Chinese-Mongolian authorities, the personnel of the expedition set out handily on Mongolian postal horses...accompanied by the baggage of the expedition, carried on camels specially hired for the expedition from Mongolian contractors. "(12) They hired 40 camels. The expedition did not move through Chinese territory at will. Thus the amban of the city of Xining was informed beforehand of the arrival of Kozlov's expedition. (13) In the archives of the Geographical Society is preserved a draft of a letter from Kozlov to the authorities in the province of Gansu, with the heading "To the Commission on Foreign Affairs of Gansu Province." The text of the letter says, "In consequence of a letter of the Committee on Foreign Affairs from 15 November 1908, I beg to inform that I, Russian traveler and Lieutenant-colonel Kozlov, in fact had discussions with the Xining qinchai as well as with the tongpan (vice prefect – RWD) of Guidui about our route of travel from Guidui through Labrang to Songpanting. "(14) The letter was dated 22 November 1908. In this fashion, it bears emphasizing, all movements of Kozlov's expedition were accomplished with the complete knowledge of Qing authorities and no arbitrary actions were permitted. As far as the discovery and excavation of Khara-khoto are concerned, all that was likewise done with the knowledge and with the help of the Mongolian prince in Qing service, Baldyn-Dzasak, and the Torgot beila, who ruled the territory entrusted to them as Mongolian territory, a constituent of the Qing empire under special administration of the Lifanyuan. That was the sum of the conversation. But originally both the prince and two of his advisers, as Kozlov wrote on 12 March 1908 in a letter to the secretary of the Go [Geographical Society — RWD], "tried to persuade me that in the direction I desired there was no road. "(16) Gifts helped, foremost a revolver and a rifle, entertainment and listening to the gramophone, and a letter to the Russian embassy in Peking with a request to address the Qing authorities about conferring on Baldyn-Dzasak the higher rank of "ulusun-tushi-gung" which would have increased three-fold the upkeep that he received from the Bogdo-khan court. (17) Hence Kozlov, like his predecessors, could not have found Khara-khoto without the help of Baldyn-Dzasak. On 1 April 1908, five members of the expedition, Kozlov himself, A. A. Chernov, N. Ia. Napalkov, and the Kazaks Ivanov and Madaev accompanied by the guide Bata departed for the ruins of Khara-khoto by way of the margins of Toroi-onts. Bata "had been at the dead town many times. 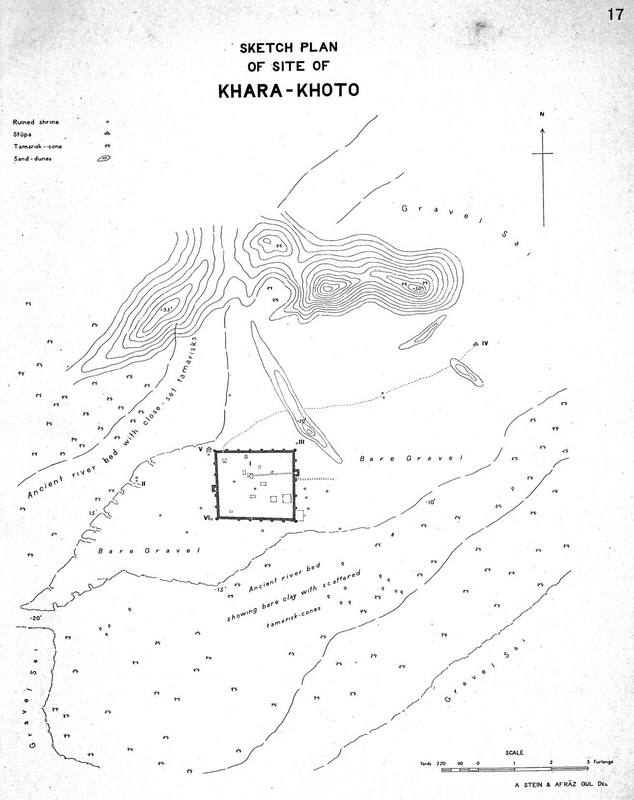 "(21) From the expedition's camp to Khara-khoto was about 60-65 li. During the initial inspection of the town, the members of the expedition found fragments of earthen and porcelain vessels, scraps of articles of cast-iron, iron, copper and silver, bricks, cash, paper money, and "here and there cult objects." Ruin No. 1: "Buddhist images, drawn on linen," "heavy, coarse metal cups and scraps of manuscripts in Xixia writing." Ruin No. 3: "sheets of Persian manuscripts, ... fragments from the famous collection of stories, "Seven Sages" (Kitab-i-Sindbid), "Islamic manuscripts and artistic book bindings." Suburgan A: 3 books and 30 notebooks in Xixia script, "an image on linen," "Appearance of Amitabha," "an image in Chinese style on silk," "a large, slightly smiling attractive mask and a series of other heads and masks," "a Buddha head, gilded with dark blue hair." With all due respect to my native colleagues, to this day I cannot understand who decided, and on what basis, the Kozlov "found" the capital of the Tangut state. As early as 1833 the large monograph of N. Ia. Bichurin (o. Iakinf) was published, which contains considerable Chinese material on the history of Xixia, translated into Russian, and from which it was entirely clear that the Xixia capital was Ningxia, as it was called in Kozlov's day, the present-day city of Yinchuan. (31) Unfortunately, this error continues to occur in the literature connected with the name of P. K. Kozlov. (32) From Tangut primary sources, we know that Edzina (Khara-khoto, Chin. Heishui) not only was not the capital of Xixia, but was rather a third-rank town, a place of exile for hard labor. It perished in 1374 in a battle between Ming China and the Mongols, desirous of recovering their lost power over China. From the first day we began to find writing, primarily Chinese, paper money, dishes, old weapons and so on. We also came across a small metal Buddha, dokshit, a small square Tibetan notebook of splendid gold writing was found. Judging by his diary, Kozlov was not present on a regular basis and the finds, even if interesting, were not fixed in any way in the plan of the town. It appears that Kozlov imagined he understood how Tibetan writing looks, but Chinese and Tangut graphs he did not much distinguish. For him it was all "Chinese stuff." On 11 June, to an earlier comment about the absence of any burials, Kozlov added: "we have come across no clothing or shoes. "(43) The cool, windy, even at first rainy weather turned hot. On 12 June Kozlov wrote a letter to A. A. Dostoevskyi of the Geographical Society. 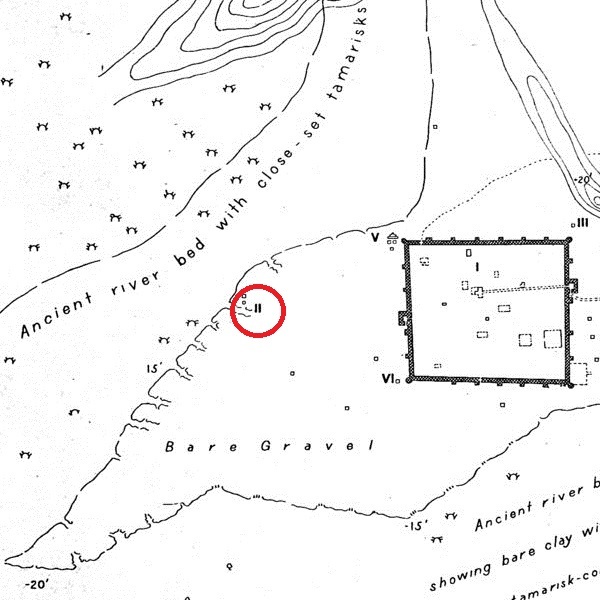 Because after days of work in the town's ruins the finds were not as abundant as would be desirable, Kozlov sent people to investigate the vicinity and took the decision to open the large suburgan, which was located about 400 meters from the western wall of the town, on the right bank of the dry river channel. 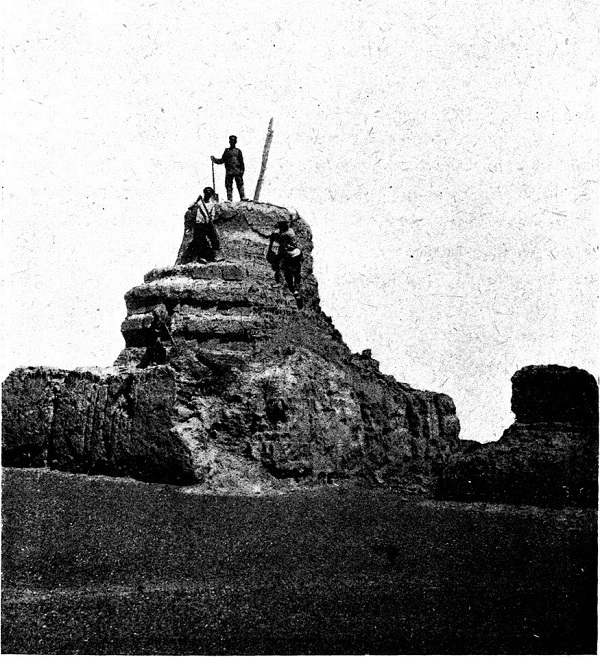 The suburgan was about 10 meters high and consisted of "a pedestal, the middle, and a conical, partially destroyed top, wrecked either by time or by treasure hunters," that is, attempts to open the suburgan evidently had been undertaken also by earlier local inhabitants. If they had succeeded, then it is very likely that science would have been deprived of that collection of religious paintings, sculpture, and books which it now has at its disposal. On 12 June began the excavation of the suburgan, the same in which, we may suppose, was found the majority of books in the Xixia language and in Chinese. Work on the excavation of the suburgan continued for nine days and was completed on 20 June. The books were carried to the camp in a huge tarpaulin, and sorted there. Without a knowledge of the languages, this "sorting" by format or yet by some characteristic unknown to us brought, to a certain extent, that, chaos which it has not been possible to eliminate completely to this very day, Kozlov himself did not observe the excavations on a regular basis. About the circumstances of the interior furnishing of the suburgan there is only one notation in the diary from 15 June. All the riches collected in the celebrated suburgan: books, images, statues and other objects ... lay in extreme disorder. In a still lower part of the storehouse was marked a kind of system: part of the earthen statues were positioned at one level, with faces to the inside, resembling lamas performing a religious service in front of the great sheets of Xixia manuscript writing, deposited by the hundreds one on top of another. For the time being one can suggest that both the testimony of chaos and of order is true. 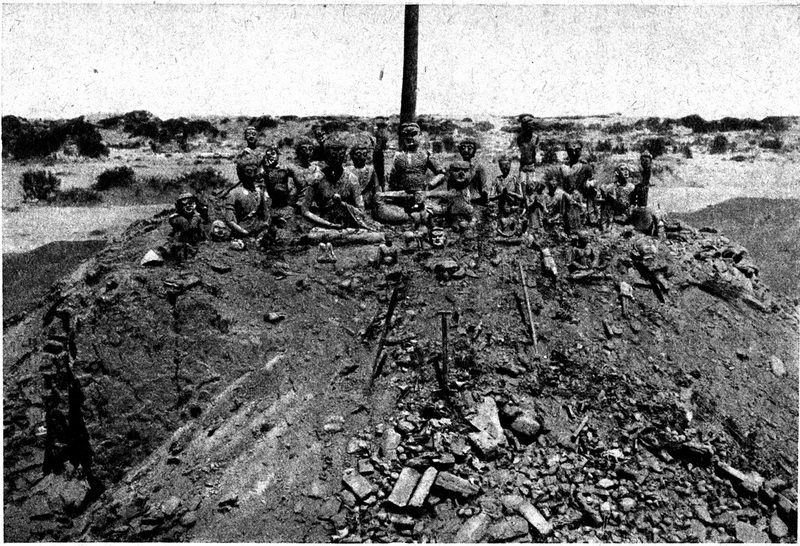 At the bottom of the suburgan ("on the ground" in Kozlov's expression, a square of roughly 3 by 4 meters, or about 12 square meters), where the burial was found, around it "sat" wood-earthen Buddhas, and before them "for reading" were placed books – the diary entry of 20 June says that "the statues were found" on a raised interior floor of the suburgan, around a landing in the center of which stood the pillar. "(49) On the walls of the lower part of the suburgan hung icons. Sculpture in the actual proportion of the human body, it seems, was by Kozlov's admission superior artistic work. An entry of 19 June from the diary: "I write in delight of all and those graceful Buddha heads. Some of them are so artistically executed, that they stand and look as if alive ... From the face it is evident that the artist-sculptor had a feel for classical beauty. "(50) The icons removed from the suburgan were stunning in their vividness and freshness of beauty; "All," in Kozlov's words, "were flooded with a soft blue and soft pink radiance." Yet it was worthwhile to move the icons ... and the dyes crumbled. We must acknowledge that the books and icons, statues, things in the upper part of the suburgan could have been in disorder. Obviously, in spring of 1226 on the eve of the Mongolian invasion, things from the city's temples were hidden in the suburgan and, possibly, the city administration. It is hardly likely that such a great quantity of Buddhist and other texts would have been placed in the suburgan at the very beginning. From the notations of Kozlov, it is clear that, although there were two suburgans opened, and there were finds of writing in the territory of the town, the mass of written documents come from the "celebrated suburgan." But the things buried outside the southern wall, at its foot, and above all those great sculptures which were in the depths of the suburgan, apparently have never been found to this day. 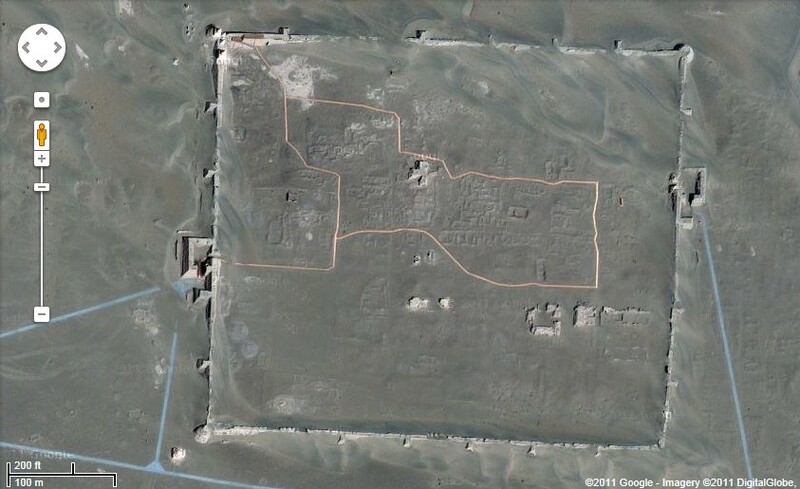 Chinese archeologists should carry out investigation and excavations at the southern wall. The skull was kept at the Institute of Ethnography of the Academy of Sciences, where it was lost, very likely during the years of the blockade of Leningrad. In any case, the author of these lines does not know if it was examined a second time. The hypothesis of Men'shikov is a supposition, a clever supposition but nothing more. But it can only be refuted if the skeleton from the suburgan is found and if a qualified anthropological examination is carried out, firmly establishing that the skull is not female (we saw that U. F. Volkov had some doubt of it), but male, which Kozlov was initially inclined to think. If a woman was really buried in the suburgan, and if we allow that the woman was the Empress Luo, then it is possible that some of the books could be from her personal library. We will note only that, among the books in Xixia, the name of Empress Luo can only be affirmed twice, both times as the bestower of the books (once it was mentioned in the colophon and once a seal recording the bestowal was affixed). In both instances these could be not her own personal books, but rather books which were distributed by her, as by other empresses and donors, about which there is lots of evidence. Books were disseminated throughout the state. In the conventional expression of prefaces and colophons, they were "distributed among the officials and people." The presence of such books, strictly speaking, does not mean that these were necessarily the personal books of the Empress Luo or any emperor who disseminated the edition of the book. About the approximate quantity found and brought back from the "celebrated suburgan" we know from the notes of the public report by Kozlov on 8 December, 1926. In fact, in the end that is what happened. All the books and monuments of writing were given to the Asiatic Museum of the Academy of Sciences, the direct descendant of which today is the St. Petersburg branch of the Institute of Oriental Studies, Russian Academy of Sciences, whereas the icons, sculptures and monuments of material culture at first were located at the Ethnographic section of the Russian Museum, and then ended up at the State Hermitage. 1. Dictionary of Tangut characters, arranged by initial (labial, dental, sibilant) sounds, without detailed explanations. 2. Dictionary of Tangut characters, composed on the model of the famous Chinese dictionary Guangyun and carrying the title "Sea of Words." After Ivanov, at different times A. A. Dragunov, N. A. Nevskii, Z. I. Gorbacheva, E. I. Kychanov, A. P. Terent'ev-katanskii, and K. B. Kepping worked on the analysis of books in the Xixia language. The author of these lines has prepared a manuscript of a short description of the Buddhist portion of the collection. With the realization of the present publication by the Shanghai Chinese Classics Publishing House of the monuments of writing from Khara-khoto, Chinese and world scholarship will have access to unique material from the llth-l4th centuries, which without doubt will shed new light on Chinese culture and the existence of Chinese culture in the Xixia state, as well as on the vanished culture of the Tangut people. It so happened (the circumstances of which were explained briefly above) that part of the cultural monuments from the territory of China ended up beyond the borders of the country; however, this is a widespread phenomenon in the fate of the cultural monuments of many peoples. Now, upon returning through the present publication a part of these cultural monuments to the Chinese researcher and the Chinese reader, and indeed to the entire world scholarly community. I am convinced that Chinese colleagues and all educated people of China, all Chinese who love and are proud of their culture, and colleagues abroad will pay a tribute of respect to the Russian traveler, geographer and naturalist P. K. Kozlov, who found, valued, and handed over to the hands of science genuinely unique materials from Khara-khoto. I suggest that those Russian scientists also deserve thanks who in the difficult conditions of war, revolution, and blockade preserved, gradually analyzed and restored the rare manuscripts and xylographs, wrote an inventory and compiled the first catalogues. The scientific community knows and values the labors of Chinese specialists of Xixia, Luo Fucheng, Luo Fuchang, Wang Jingru, Shi Jinbo, Li Fanwen, Bai Bin, Huang Zhenhua, Nie Hongyin, Chen Bingying, Luo Maokun and many others. Much has been done, but even more must be done. Unfortunately, the means are lacking for a full and complete restoration of books from Khara-khoto, and here is where even more and difficult work needs to be done. Hundreds of fragments, which no one has yet looked at, must be identified; needed are young enthusiasts who will decide to set themselves to the task. But gradually the circle of researchers on Xixia culture will widen and we will see interest in this culture not only in China, Japan, and Russia but also in the United States, Great Britain, France, Sweden, and Holland. The author of these lines is convinced that when translations made in the Xixia language from Tibetan become the property of science, then the interest in Tangut texts of researchers in Tibetan culture and Tibetan Buddhism will grow. The materials from Khara-khoto are invaluable resources for the study of Far Eastern regional cultures, whose center was Chinese culture, a vivid example of the interaction of local cultures and the cultures of China, and of the formation on this soil of new forms of culture as elements of Far Eastern culture. We can be certain that the high-minded labor of workers at the Shanghai Chinese Classics Publishing House, which will open access to the monuments of Xixia culture to all who are interested in them, will elicit the deserved, great esteem of the world scientific community. 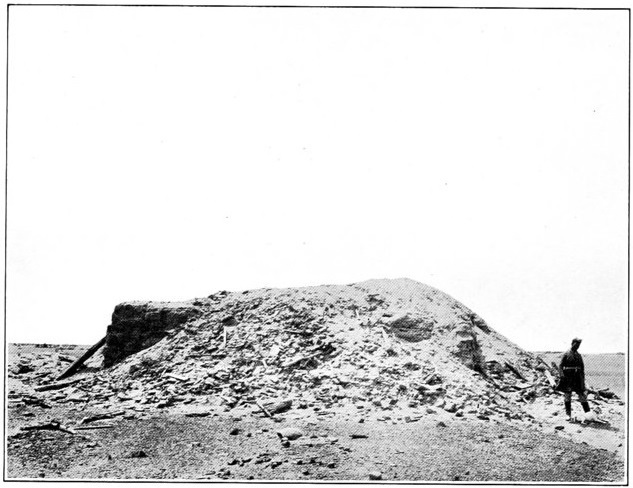 Five years after Kozlov left Khara-khoto with his treasures, Aurel Stein visited Khara-khoto, and during eight days at the end of May 1914 he recovered thousands of fragments of Tangut manuscripts and printed texts from site K.K. 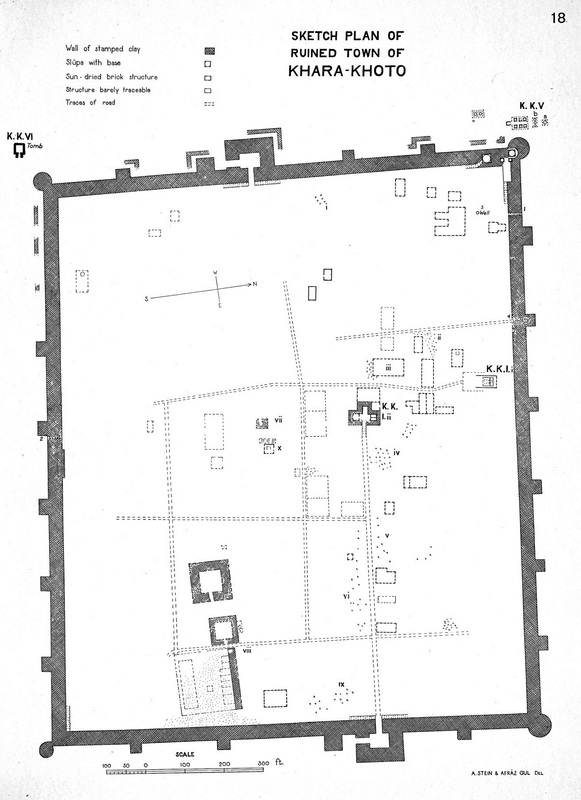 II (Stein's designation for the ruined remains of the celebrated suburgan). These are now held at the British Library in London, and most of them have been digitized, and can be viewed on the International Dunhuang Project website. But even today, more than a hundred years after being collected by Stein, some bundles of Tangut fragments are only now seeing the light of day. Innermost Asia vol. 1 fig. 258. A structure quite different in type from these Stūpas and of far greater interest was the ruin, K.K. II, which was pointed out to me on my arrival at the site as the place where Colonel Kozlov in 1908 had secured his great haul of manuscripts, paintings and other antiques. It was situated close to the bank of the western river-bed and about two furlongs to the west of the western gate of the town, and presented, as seen in Figs. 257, 258, a scene of utter destruction. All that could be made out on first inspection was a brick-built platform about 28 feet square and 7 feet high, and on its sides heaps of debris of masonry and timber, mixed up in utter confusion with fragments big and small of stucco, originally painted and evidently once forming part of clay images. Frames of wood and reed bundles, which had served as cores for statues, lay about on the slopes and all round on the gravel flat. All these remains had obviously suffered greatly by exposure after having been thrown down. But even a slight scraping below the surface sufficed to show that, while the remains of paper manuscripts and prints had been reduced, where exposed, to the condition of mere felt-like rags, below the outer layer of debris they were still in fair condition. The careful clearing and sifting of all the ‘waste’ left behind in this sad condition by the first explorers of the ruin occupied us for fully a day and a half. In August 2016 I finally had the opportunity to visit Kharakhoto myself, together with my good friend Viacheslav Petrovich Zaytsev from the Institute of Oriental Studies in St. Petersburg (where the Tangut texts collected by Kozlov are now held). 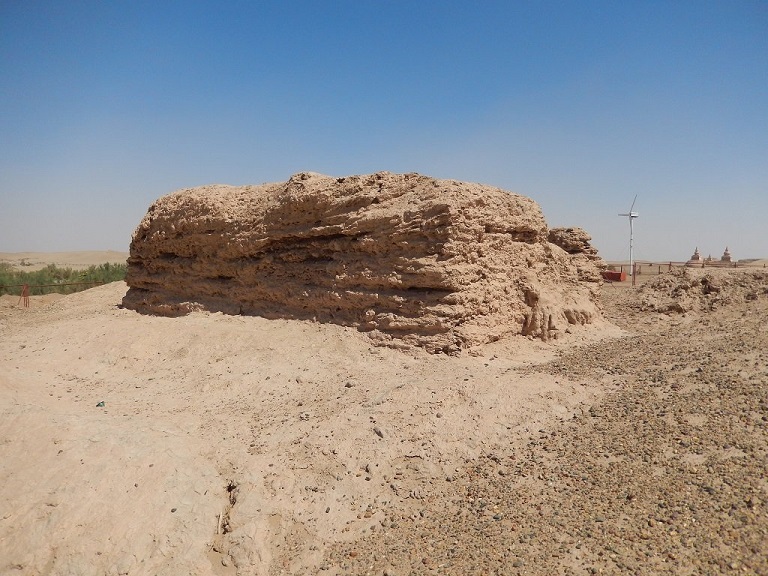 The ruins of the celebrated suburgan can still be seen some distance from the walls of Khara-khoto (and probably unnoticed by most visitors), but there are no Tangut fragments left for us to find. You can find some more of my photos from our two-week trip through Ningxia and Inner Mongolia in search of Tangut and Khitan relics in this Twitter moment. (1) P. K. Kozlov, N. M. Przheval'skii, first explorer of nature in Central Asia, St. Petersburg, 1913, p. 84. (2) G. N. Potanin, Tangutsko-tibetskaia okraina Kitaia i Tsentral'naia Mongolia: Puteshestvie G. N. Potanin, 1884-1885 (The Tangut-Tibet border of China and Central Mongolia: the travel notes of G. N. Potanin, 1884-1885), St. Petersburg, 1893, p. 464. (3) V. A. Obruchev, Tsentral'naia Aziia, Severnyi Kitai i Nan'shan' (Central Asia, Northern China and Nanshan), vol. II, St. Petersburg, 1900-1901, pp. 399-400. (4) Kozlov, Mongoliia i Amdo i mertvyi gorod Khara-khoto (Mongolia, Amdo and the dead town of Khara-khoto), Petrograd, 1923, p. 100. Hereafter: Kozlov 1923. (5) Kozlov 1923, p. 3. (6) "Dnevnik Mongolo-Sychuan'skogo puteshestviia 1907-1909" ("Diary of Mongolia-Sichuan journey 1907-1909"), Arkhiv Geograficheskogo obshchestva (Archives of the Geographical Society), fond 18, opis' I, no. 154. Hereafter: "Dnevnik", fond-f., opis'-op., Geograficheskoe obshchestvo-GO. (7) Arkhiv GO, f.18, op. I, no. 59. (8) Arkhiv GO, f.18, op. I, no. 100. (10) The draft manuscript of the book, Mongoliia i Amdo i mertvyi gorod Khara-khoto, Arkhiv GO, f.18, op. I, no. 61. (11) Shorthand notes of the expedition report, Arkhiv GO, f. 18, op. I, no. 59. (12) Kozlov 1923, pp. 19-20. (13) Shorthand notes of the expedition report, Arkhiv GO, f. 18, op. I, no. 59. (14) Arkhiv GO, f. 18, op. I, no. 49. (15) Kozlov 1923, pp. 76-77. (16) Arkhiv GO, f. 18, op. I, no. 46. (17) Kozlov 1923, P. 78. (18) Shorthand notes of the expedition report, Arkhiv GO, f. 18, op. I, no. 59. (19) Kozlov 1923, p. 95. (20) Kozlov 1923, p. 99. (21) Kozlov 1923, p. 102. (22) Kozlov 1923, pp. 102-104. (23) E. I. Kychanov, Zvuchat lish' pis'mena (Sounding only in writing), Moscow, 1965, pp. 27-28. (24) Kozlov, "Dnevnik", Arkhiv GO, f. 18, op. I, no. 154. (25) Kozlov 1923, p. 108. (26) Kozlov 1923, pp. 108-109. (27) Kozlov 1923, p. 112. (29) Kozlov, "Dnevnik", Arkhiv GO, f. 18, op. I, no. 156. (30) Arkhiv GO, f. 18, op. I, no. 50. (31) o. Iakinf, Istoriia Tibeta i Khukhunora (The history of Tibet and Koko-nor), St. Petersburg, 1833. (32) See Ye. M. Murzaev, V serdtse Azii (In the heart of Asia), Moscow, 1990, p. 12. (33) E. I. Kychanov, Zvuchat lish' pis'mena, p. 33. (34) Kozlov 1923, p. 406. (35) Kozlov, "Dnevnik", Arkhiv GO, f. 18, op. I, no. 156. (37) Arkhiv GO, f. 18, op. I, no. 55. (38) Kozlov 1923, pp. 546-547. (39) Kozlov 1923, pp. 547-548. (40) Kozlov, "Dnevnik, Arkhiv GO, f. 18, op. I, no. 157. (41) Kozlov 1923, p. 550. (42) Kozlov, "Dnevnik", Arkhiv GO, f. 18, op. I, no. 157. (44) Arkhiv GO, f. 18, op. I, no. 54. (45) Kozlov, "Dnevnik", Arkhiv GO, f. 18, op. I, no. 157. (47) Arkhiv GO, f. 18, op. I, no. 65. (48) Kozlov 1923, p. 556. (49) Kozlov, "Dnevnik", Arkhiv GO, f. 18, op. I, no. 157. (53) Arkhiv GO, f. 18, op. I, no. 124. (54) Kozlov, "Dnevnik", Arkhiv GO, f. 18, op. I, no. 157. (55) Kozlov, 1923, pp. 555-556. (56) L. N. Men'shikov, Opisanie kitaiskoi chasti kollektsii iz Khara-khoto (Description of the Chinese manuscripts from Khara-khoto), fond P. K. Kozlov, Moscow, 1984, p. 75. (58) Arkhiv GO, f. 18, op. I, no. 55. (59) Arkhiv GO, f. 18, op. I, no. 124. (60) Arkhiv Akademii Nauk, RAN, (Archives of the Russian Academy of Sciences), f. 208, op. 3, no. 274. (61) A. I. Ivanov, "Pamiatniki tangutskogo pis'ma" ("Tangut manuscripts"), Izvestiia Rossiiskoi Akademii Nauk (Bulletin of the Russian Academy of Sciences), series VI, 1918, pp. 799-800. In addition to this, see the publication by Ivanov, "Dokumenty iz Khara-khoto (Documents from Khara-khoto), the Chinese private letter of the 13th century", Izvestiia Imperatorskoi Akademii Nauk (Bulletin of the Imperial Academy of Sciences), 1913; "From the finds of P. K. Kozlov at Kharakhoto", Izvestiia Imperatorskogo Geograficheskogo obshchestva (Bulletin of the Imperial Geographical Society), vol. XLV, 1909, pp. 463-477; "Stranitsa iz istorii Si Sia" ("A chapter in the history of Xixia"), Izvestiia Imperatorskoi Akademii Nauk (Bulletin of the Imperial Academy of Sciences), 1911, pp. 831-836; "The sutra 'On the rebirth of Maitreya in Tushita Heaven'", the Tangut text was published and a Chinese translation provided by Ivanov, Petrograd, 1916. To these should be added at least two publications by Ivanov in the German language. (62) See Kotvich, "Examples of paper notes of the Yuan dynasty in China", Izvestiia Imperatorskogo Geograficheskogo obshchestva (Bulletin of the Imperial Geographical Society), vol. XLV, 1909, pp. 474-477; see also his characterization of the monuments of Mongolian writing from Khara-khoto in Mongoliia i Amdo i mertvyi gorod Khara-khoto, pp. 561-565. (63) See his characterization of the Persian text "Seven sages", in Mongoliia i Amdo i mertuyi gorod Khara-khoto, p. 566 and his description of the monuments of Buddhist sculpture and icons in the same book. (64) Men'shikov, Opisanie kitaiskoi chasti kollektsii iz Khara-khoto (Description of the Chinese manuscripts from Khara-khoto). (65) N. A. Nevskii, Tangutskaia filologiia: Issledovaniia i slovar' v dvykh knigakh (Tangut philology: the analysis and the glossary, 2 volumes), Moscow, 1960. Z. I. Gorbacheva and E. I. Kychanov, Tangutskie rukopisi i ksilografy (Tangut manuscripts and xylographs), Moscow, 1963.